‘Open that bundle, old Joe, and let me know the value of it. Speak out plain. I’m not afraid to be the first, nor afraid for them to see it. We know pretty well that we were helping ourselves, before we met here, I believe. It’s no sin. Open the bundle, Joe.’ But the gallantry of her friends would not allow of this; and the man in faded black, mounting the breach first, produced plunder. It was not extensive. A seal or two, a pencil-case, a pair of sleeve-buttons, and a brooch of no great value, were all. They were severally examined and appraised by old Joe…. Nevertheless, I do enjoy going to estate sales. Yesterday I had gone to one two hours after it opened. There were still plenty of other shoppers, but it wasn’t the mad crush of the first opening minutes…which made it so much nicer!! It made me nicer! I walked around with a smile on my face. I chatted with people. My first room, a small bedroom, was being used to display all the games and toys. Many quite old. 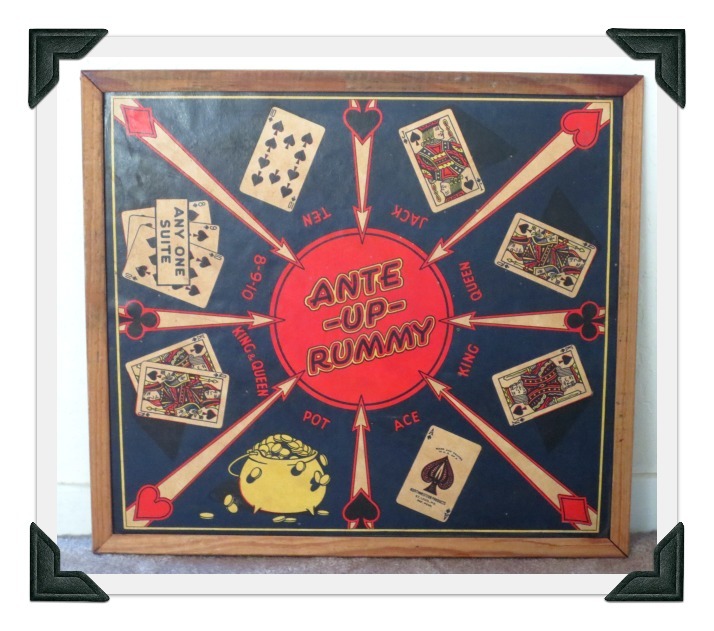 I immediately gravitated to an old double-sided game board: Ante-Up Rummy and Chinese checkers. It had some wear and was dirty, but it was still fabulous. At only $5, I couldn’t believe no one else hadn’t nabbed this already. This is by Northwestern Products, Co., St. Louis, MO. Circa 1950s. Cardboard with wood frame. Double sided. In the master bedroom, I found a granny square blanket for $6. Not a stellar one, and I rather wish the pink hadn’t been used in it (better if it had been red…who doesn’t like red, white and blue? ), but still a nice blanket and retro afghans do sell. 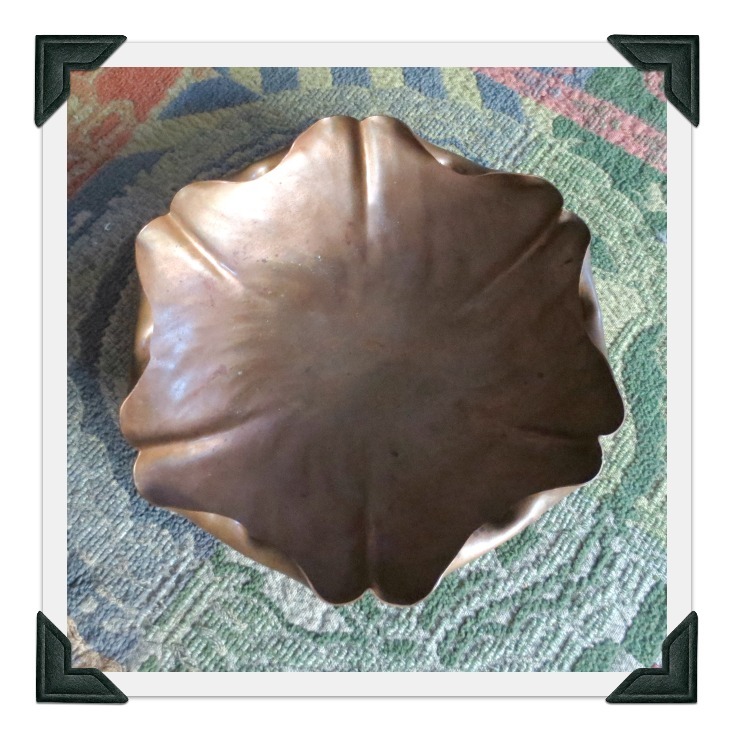 And I bought another copper bowl! 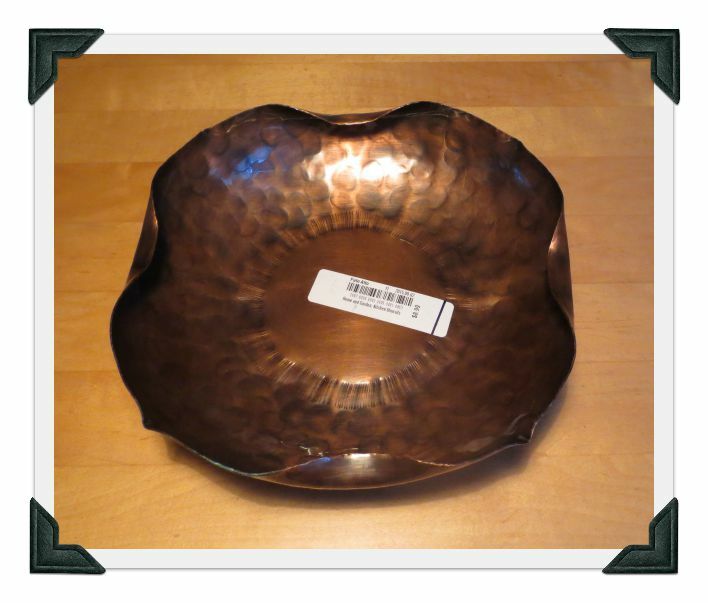 For those of you who read my post about stupid buys, you’ll know I recently bought (and returned) a no-name copper bowl of dubious make (shown on the right). 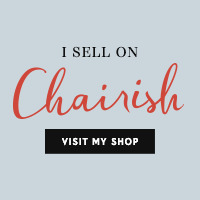 But the one at this sale had a very different feel to me. Still no maker’s name, but it was older (and the lovely color of an old penny), less fussy and a smaller size that would make it perfect for candy, keys, coins, etc. Perhaps the real difference is that I wouldn’t have used the first one in my home. It didn’t appeal to me. The one below does. Moving on, the small den had all the books and I adore books. Many were quite old and only $1 each, but I was judicious in what I selected…otherwise I’d be swimming in books! 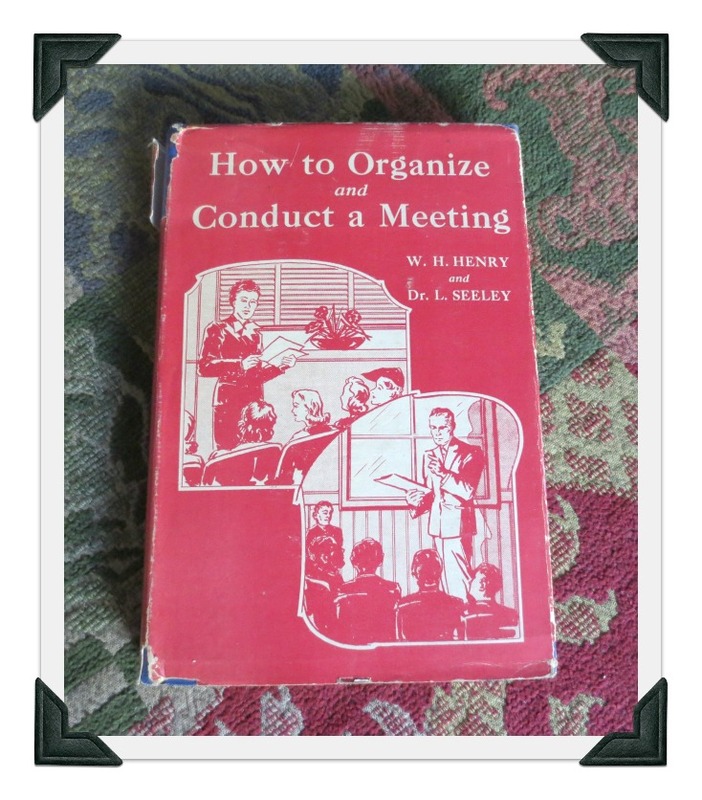 I bought this one (“How to Organize and Conduct a Meeting” published 1938) for the dust jacket alone. It was nice to see both a woman and a man featured on the cover, but if you notice, the woman is speaking to just women, and the man to just men. Definitely a different era. I also bought two astronomy books and was pleased to find “extra bits” in them. 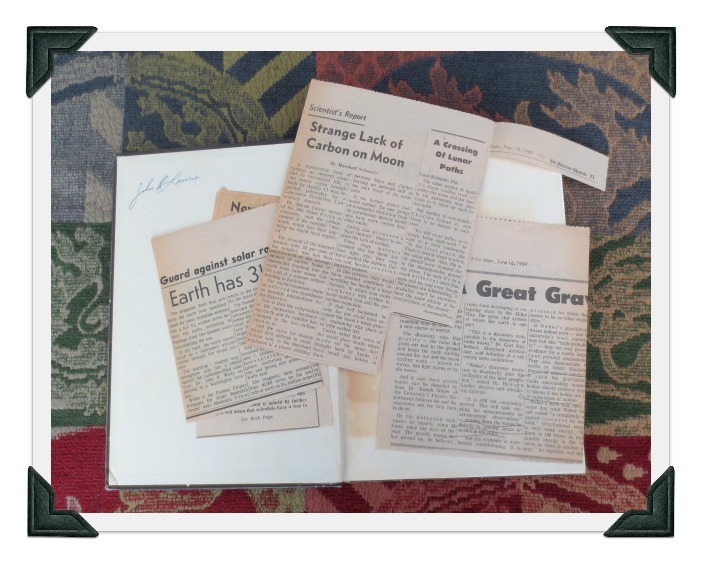 One had astronomy-related newspaper clippings from 1967 and 1969 and the other had a Christmas card (from Maybelle and Jim) and an unused 10-cent stamp of first man on the moon. Aren’t those extra bits poignant? Anyways, after all my perusing, I paid for my small plunder and walked out in the lovely sunshine on a 70-degree California day and, I tell you (and I know it sounds corny), but I felt the sheer joy of being alive on such a day.